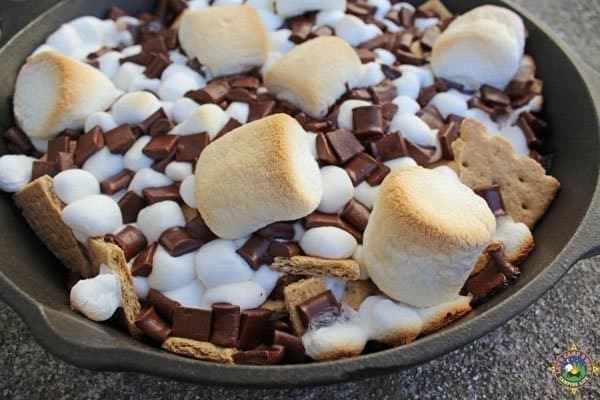 Create campfire S’mores Nachos on your next camping trip. 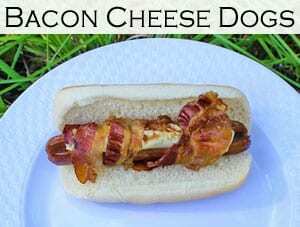 These can also be made on the grill at home. S’mores are the best! 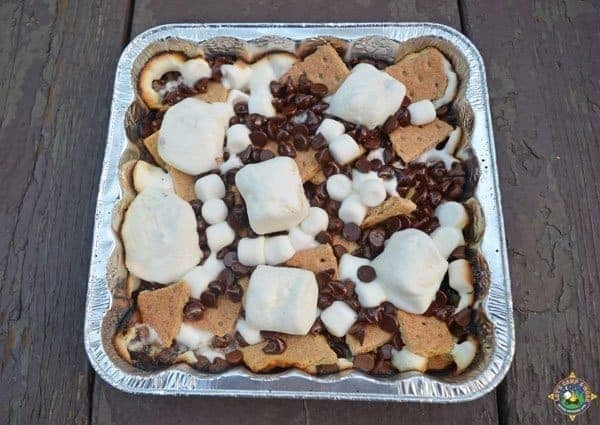 All that melted chocolate and gooey marshmallow combined with graham crackers are just the best camping dessert. We’ve created S’mores with Peeps and S’mores with Chocolate Frosting, but now we bring you grilled S’more Nachos. 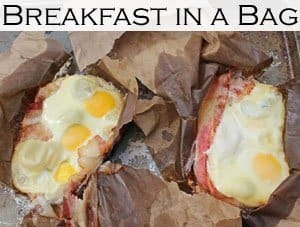 Get the full recipe at the bottom of this post. We really love to eat. Who doesn’t? For some reason, food just tastes better when it is cooked over the campfire. Why is that? We have not been able to figure it out. We just go with it and create new camping recipes. Camping season is upon us, so we plan on creating many new recipes this year. If you love camping, make sure to sign up for our newsletter and check out our camping DIYs and tips. 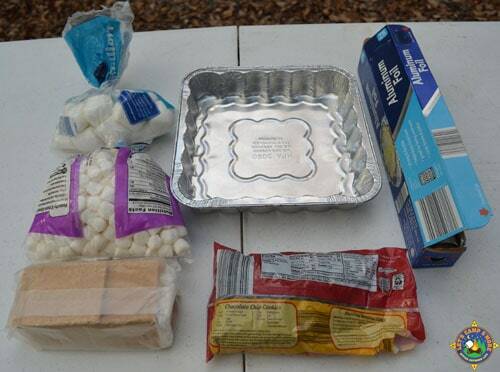 For this recipe, you need foil and a foil pan, along with your traditional s’more fixings. We used chocolate chips instead of chocolate bars. We also used two sizes of marshmallows; regular and mini. The grilled s’mores are cooked over the campfire or on the grill. If the campground fire pit does not come with a grate, use a portable one. We made ours in an 8″x8″ foil pan. If you have a large family, you might want to make more in a larger pan. Update: We discovered that this recipe is just as good at home on the grill. We made them in a cast iron skillet. We grilled these for about 7 minutes. How does this delicious dessert look? Do you love everything s’more? Check out all of our camping desserts or throw a camping party with these free printables. Grilled S'more Nachos are so easy to make over a campfire or on the grill. Break up graham crackers and spread them in the bottom of your foil pan. The number of crackers you use will depend on the size of your pan. We use two cinnamon graham crackers in our 8 by 8 in foil pan. We have made this with regular and cinnamon graham crackers, but we like the cinnamon better. Sprinkle mini marshmallows on top of the graham crackers. Scatter chocolate chip on top of the graham crackers. Repeat with another layer of the three ingredients. Place more chocolate chips on top along with a few regular size marshmallows. 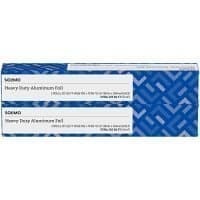 Cover the pan with a piece of heavy duty foil, making sure to wrap it tightly around the edges of the path. 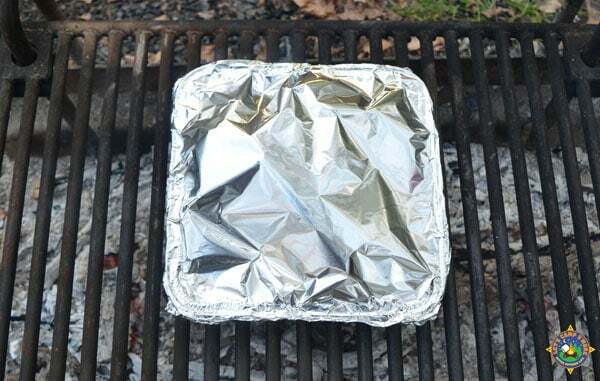 Place the pan on the grate of a grill or over the campfire. Like with regular s'mores, we find this grills best over coals as opposed to active flames. Cook until the marshmallows and chocolate melted. You can lift a corner of the foil to make sure it's melted, or just use your nose to smell the chocolate. Just make sure not to burn it. Carefully remove the pan from the fire. Take off the foil lid and enjoy. Please let us know how your s'mores turn out by leaving a comment or photo here on Pinterest. 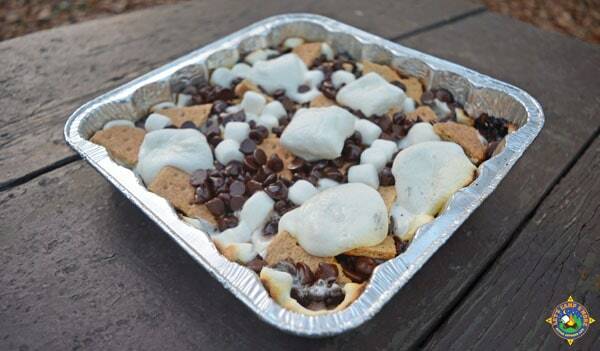 What a great idea, your S’Mores Nachos look amazing! Hope you are having a great week and thanks so much for sharing your awesome post with Full Plate Thursday! 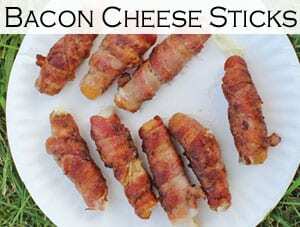 I am totally going to make these with my son! We both love s’mores and this is easier than assembling them in the dark! Oh man, smores are the best aren’t they? 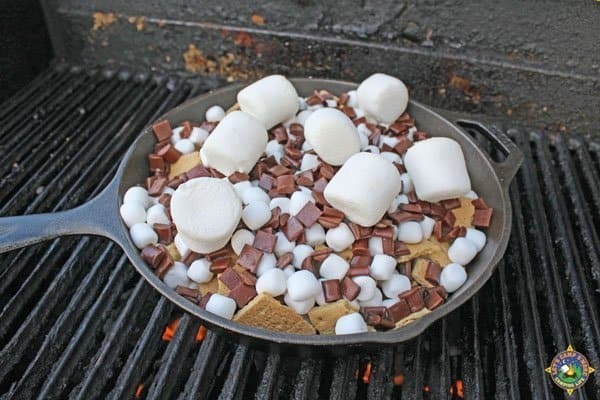 I love this fun way to make smores over the campfire! Thanks for the idea! I absolutely love this ideas. Nachos are the best and dessert nachos are even better! I can’t wait to try these. 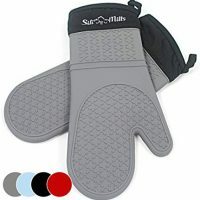 Could these be made in your oven as well? Jen, you are right…it is an art. 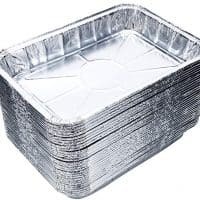 In the oven, I would not use foil on top. We have not tried it yet, but I would guess 425 degrees. The type of pan you use will make a difference. It takes longer in a foil pan and shorter in cast iron or stainless. These look absolutely amazing, just one question . . . At the end is the nutritional analaysis and it says serves 4 at 78 calories per serving. Is that truly correct, I just cannot see how it could be so few calories with the chocolate and marshmallow . . . . But regardless, it looks yum and I am going to try it. Robbie, I think the nutrition calculator on the recipe was off. I changed it to one serving, instead of 4, which I believe reflects better.